Having looked at the headlight I think the easier option would be to add some led fog lights to the bike as Yamaha has done. Is this something you all would be interested in us supplying? I am sure we can provide some bright lights at a much lower cost than Yamaha charges for these. Just making a copy of the PIAA setup Yamaha uses would be great. The markup for it is ridiculous, but it works very well - as well as fork mounted can. I would suggest separate on/off just like they are. I'd be interested, especially if they were low profile. I've adjusted the angle of my headlights, so my only real issue is with the dead zones in the top-right and top-left corners with my high beams on. So with that in mind, I think I'd rather them be tied into my high beams than have a dedicated switch. Thanks for the feedback. The more info on what riders are wanting the better we can come up with a solution and extra options that may be needed to have these come on when you are wanting them to. Fork mounts under the factory headlights a la the Yamaha/PIAA setup would be fine. Having the ability to connect it to a PWM dimmer like the Skene Design IQ-275A would be a must for me. I have this controller set up with some VisionX aux lights on another bike, and I can run the lights at a lower intensity with the low beams and have them flip to full brightness when the high beams are on. tripage and ridetofish like this. I would be highly interested in this as well but I have a 2014 model so hopefully it will be a universal fit for the fz’s. I like the fork mounting as well as I do have a fairing under the the headlight which alreay uses the headlight bracket as a mount. So anything that doesn’t connect to that im good. I was actually highly interested In your led switchback led in the air scoops but just couldn’t really justify it yet both financially and cosmetically lol. So maybe these new ones will look awesome and sell me. I love how you are always trying to make the fzs a better bike and can’t wait to see the results. Once again please make it universal for us early gen models &#x1f642;. We have a 17 locally to work on now so we will make it work with this model and see how it will transfer over to the older years. It should be fairly close for the install. Wiring we will look at once it's all setup. I am highly interested and would be one of the first in line for this. I've been researching myself and was contemplating coming up with my own solution. +1 for a Yamaha/PIAA similar setup. I think options for how they can be operated would be preferable. I'm still on the fence between always on, switched, or tied to the high beam. I think i'd prefer being able to use them without blinding other drivers with my high beams. So maybe either switched or always on is my vote. Regardless, the way these look is just as important to me. It would be vital that these look clean and match the bikes aesthetics. 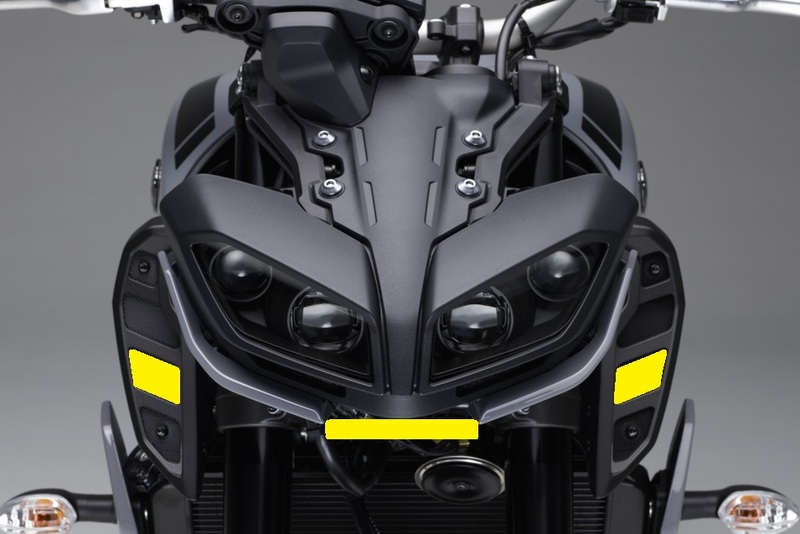 if it was my bike, I'd prefer something that was more hidden like a light bar tucked up under the headlight or added lights in the fake intake scoops. blackfireball5 and fz9-tx-guy like this. This would be sweet. Albeit trickier.